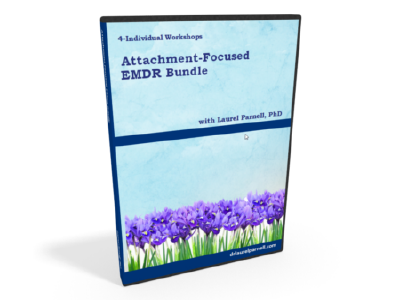 Attachment-Focused EMDR Bundle - Laurel Parnell, Ph.D.
Four videos on Attachment-Focused EMDR in one convenient bundle. Save $20 over the individual price. 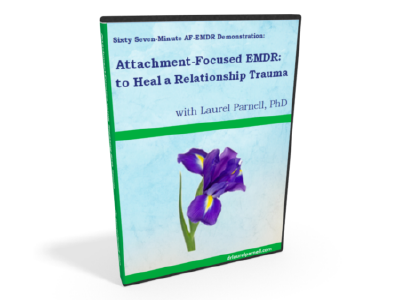 In this video of a live session with a volunteer client, Dr. Parnell works with a man who wishes to heal a past relationship trauma that is causing him distress in the present. Triggered by a recent situation that activated a strong emotional response, the client reports that several years previously, he had been emotionally harmed by the actions of a therapist. He wants to be free from the threat of being triggered in future situations. 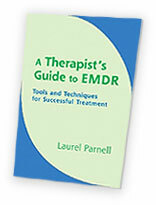 The video demonstrates the use of Attachment-Focused EMDR, including the importance of the therapeutic relationship and therapist flexibility in adapting to the client’s needs. In this video the client presents with anxiety, trouble sleeping and irritability related to a future move. She was distressed and tearful as she described her fears and concerns about leaving her friends and family to move to a city only three and a half hours away by train. Though she realized her fears were irrational–she knew she could and would keep in touch with the people to whom she was close—yet was still wracked with anxiety and fear of separation. She believed her anxiety was linked to early separation from her mother as an infant when she was taken to India to live with her grandparents, and then later returned to live with her parents when she was around two years old, losing her grandparents and extended family in India to whom she was attached. The client believed that her mother had a hard time attaching to her in part because of the early separation and also because she was working intensively in medical school during the client’s childhood. As a result of her mother’s lack of availability, the client reported feeling abandoned, lonely and angry as a child, even having temper tantrums and biting other children. 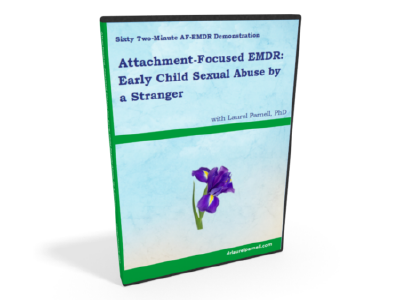 The client believed that these early separations and losses made it difficult for her to securely attach to her mother and trust that she wouldn’t be “abandoned” again. After checking her body she felt grounded, at peace and more ready for the move. Finally we debriefed the session and answered questions from the group. 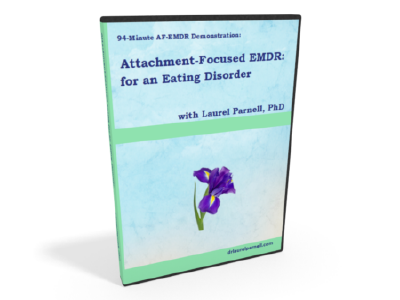 In this video of a live session with a volunteer client, Dr. Parnell demonstrates the use of Attachment-Focused EMDR with a woman with a life-long problem with binge eating. 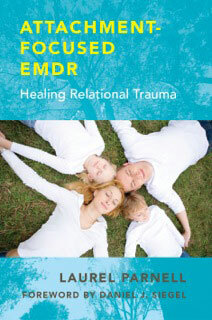 This session with a complex clinical presentation shows the use of advanced EMDR skills and knowledge, such as how to take a history of the presenting problem and find the best target, how to prepare the client for EMDR trauma processing of the early experiences linked to the disorder, and the use of resource and imagination interweaves to repair early attachment wounds. 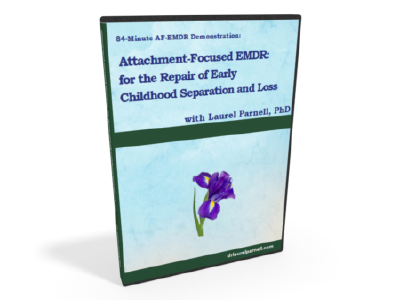 The video demonstrates the use of Attachment-Focused EMDR to repair unmet developmental needs, and the importance of therapist-client attunement.